All you need to know about climbing Kilimanjaro in one page of information. Remember that 100% aim to reach the summit of Kilimanjaro each year only 42% to 48% of people on any given year make it to the summit. There are a number of reasons for this. Lets have a look. First check out our Kilimanjaro climbing video. Join us in 2019, 2020, 2021. We have to respect the local people, pay them well and treat them as family. We have our own staff on the ground for 8 years now and don’t outsource our services. We have been building a team now for 8 years offering only quality service. This costs more, but most companies cut corners in the areas of staff costs and service. Safety is our teams number one concern. READ SOME REVIEWS. We have the same base camp manager, guides, servers, tent crew and we usually have the same 30-40 staff with us on each of our Kilimanjaro climbs. 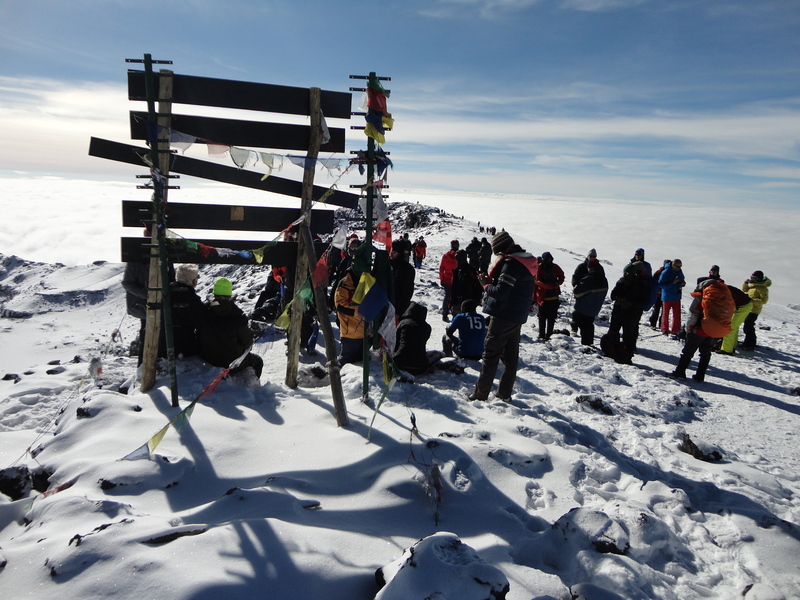 We have put over 2,000 people on the summit. Our staff want to work for us and give you a safe and amazing experience on the mountain as we make sure they are well looked after. Our head guide has trekked to Everest base camp and climbed Island peak with us in 2017 and others will follow. 20). Read some REVIEWS from our trips. Do to the Testimonial page. 23). What our key elements to a successful Kilimanjaro climb. 24). 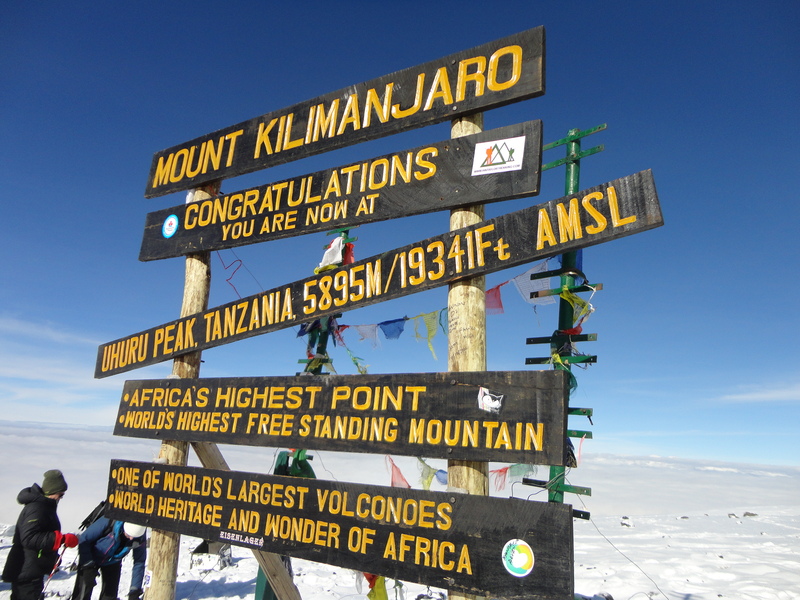 What is the most beautiful route up Mount Kilimanjaro. 29). 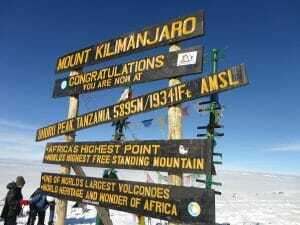 What are the two main differences between Climbing Kilimanjaro and the Everest Base Camp Trek. After looking after the staff and paying them correctly, the next thing is you need to pick the right itinerary for most people A MINIMUM of 8 days on the mountain is needed to be successful. The more days the better. 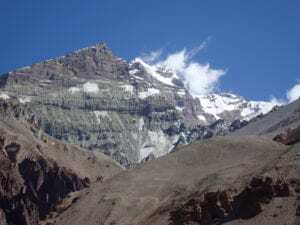 Any less than this and you are running the risk of falling into that 48% of people how do not make it to the summit because of serious altitude related issues. You need more time for the body to adapt to the lack oxygen, especially in the critical zone of 3,500m/ 11,482 feet to 4,000m/ 13,123 feet and you can not force this. Yes everybody adapts differently but you still need to be safe, careful and take your time increasing the elevation you go to on a daily basis. You should never be moving higher than 700m/ 2,300 feet in one day. 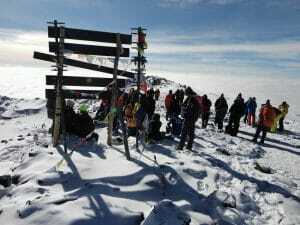 Above 3,500m/ 11,500 feet you should be looking at making jumps of 500m/1,640 feet gain per day if possible. Breathing techniques, low heart rates, excellent hydration and pacing are all really important to be safe and successful. You also need excellent physical conditioning to be able to walk up and down hills with a weighted back pack at high altitude. We can help you with this. Don’t wait, drop us an E-MAIL TODAY. If you want to do more for the local people you can bring cloths, school items and gifts and we will deliver them to a local orphanage that we support.